Oftentimes, we don’t have to look very far to find people in need! Hold a food drive in your school to help struggling kids and families in your community get the food they need to stock their shelves. Wondering how? 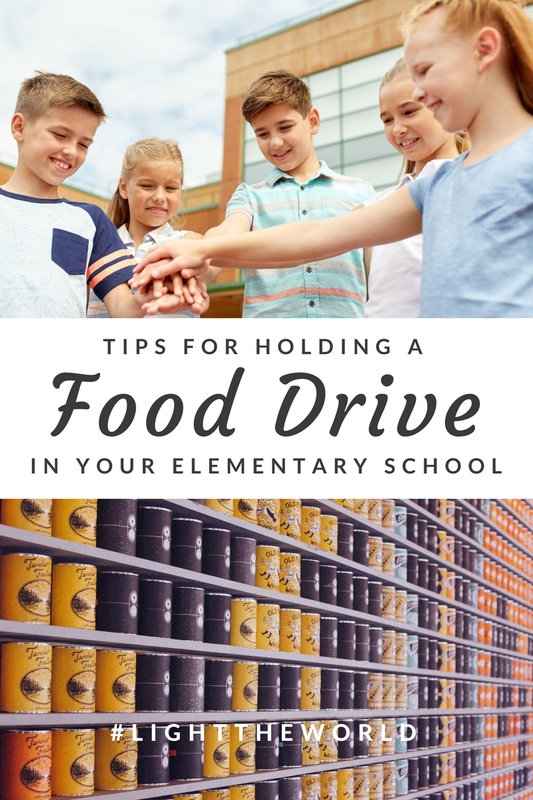 Here are some tips to help you organize a food drive in your school! I partnered with BonCom and #LightTheWorld for this very special service project. Do you ever feel overwhelmed by all the need in the world? I remember being a young girl and feeling sad when I saw lonely old people walking past me on the street or veterans in wheelchairs begging on the streets. At that age, I felt especially helpless. What good could I do in the world? Unfortunately, that feeling sometimes continues to follow me now that I’m older. I feel like I could never do enough. But you know what? I remembered something recently from an old advisor of mine in college. I remember I was trying desperately to put together a talk for a youth group in my area. It happened to be on chastity and morality, new territory for me as I had never been asked to be so open and frank with a group of young people before. The talk just wasn’t coming together; no matter what I did, I couldn’t put the pieces of the message together. In explaining this to my advisor, I was asked how I would feel if my talk helped just one person. What would I do? Would I call my talk a success? I immediately answered “of course” and then proceeded to explain how I wanted to be able to help as many of them as possible. But in talking through it with him, I soon realized that it would be impossible to help everyone. But I could help at least one person and make a difference in their life. 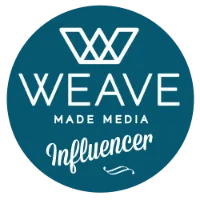 That advice changed my way of thinking and it is something that I look back on whenever I’m preparing a blog post, social media post, video, activity, or service. It’s the “power of one”. Not only can we, as one person, change the world but we can change the world one person at a time. And if we all we can do is make a difference to that one person, we’ve just added more light and love to the world around us. In dwelling on that this Christmas season, I was offered the opportunity to partner with BonCom for #LightTheWorld. If you aren’t familiar with #LightTheWorld, just type in that hashtag on Facebook, Twitter, and Instagram and you will be inundated with stories and moments of people creating their own light one small act of service at a time. By embracing the love of our Savior, Jesus Christ, and using Him as an example, people are rallying together to change the world one person at a time. It’s an amazing thing to be a part of and I encourage you to check it out! Every day has a new message and a new challenge. Here’s one of them…you can find the rest at Mormon.org. For my part, I had a difficult time deciding what to do. I went in for surgery at the end of November and two days later, I decided to do a food drive with our elementary school. We have a very generous community and have had great success with small fundraisers three times already this year. I knew it would be something we could do and in talking with the principal, she and the other members of the administration decided to go for it! So how you can organize a food drive for your school? Here are some tips I learned along the way. 1. Find An organization You’d Like to Work With! This one was easy for me! I was scrolling through my newsfeed on Facebook one day and saw a post from one of my friends about helping put together bags of food for lower income children to have over Christmas break. There are many children who only receive one meal a day and that meal is at school. Once they go home, they go hungry. So what do they do over holiday and summer break? This organization, called The Camel Hump, in Salt Lake City, works with local elementary and junior high schools to put together bags of food for these children. People are then encouraged to sign up for as many bags as they are able to contribute. I knew our school could handle 40 bags (I was confident!) and that became our goal. There are many organizations just like this in all major cities. We decided this was the perfect partnership because the kids in our school would be doing something to directly benefit other children in the community. You could also partner with local food banks, shelters, women’s shelters, etc. 2. Create a Realistic Goal and Share It! I’m known for sometimes being unrealistic when it comes to fundraising and service goals. So be sure to talk with your principal and administration to create a goal that is doable for the school. If you have a goal, it’s easier to rally people behind you! Our goal was 40 bags of food which amounted to about $800. It’s pretty easy to please children so you’re incentive could be throwing a pizza party for the winning class. In our school, our students wear uniforms but they are able to dress down on Fridays occasionally as an incentive for different things. In September, we raised almost $3,000 to donate towards hurricane relief on three separate Fridays. The students were asked to bring $1 and they could wear what they wanted (some of the days had themes too like a Disney costume). 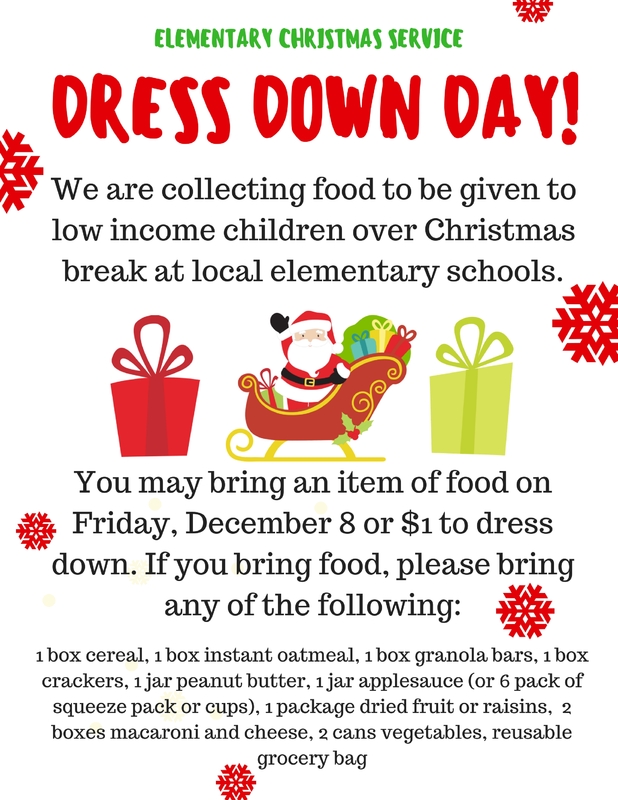 We decided this would be a great incentive for our student body-they could dress down on Friday the week of the food drive if they brought either a can of food or $1. It worked out very well and we had great participation! This seems like a pretty obvious step but it’s sometimes one that people forget about, especially for sharing on social media. I created a simple flier on Canva that I emailed to our principal. She was able to have it printed out and shared around the school and sent home with students. I also posted it on in our parent Facebook group for the school and it was shared on the school’s Facebook page and weekly email. Don’t assume that parents will see what their children bring home to them or what they share. My kiddos often forget to tell me things! It’s a good idea to cover all bases and get the information out in as many places as possible. Also be sure to include any specifics about the organization you’re working with and the donations that you need. 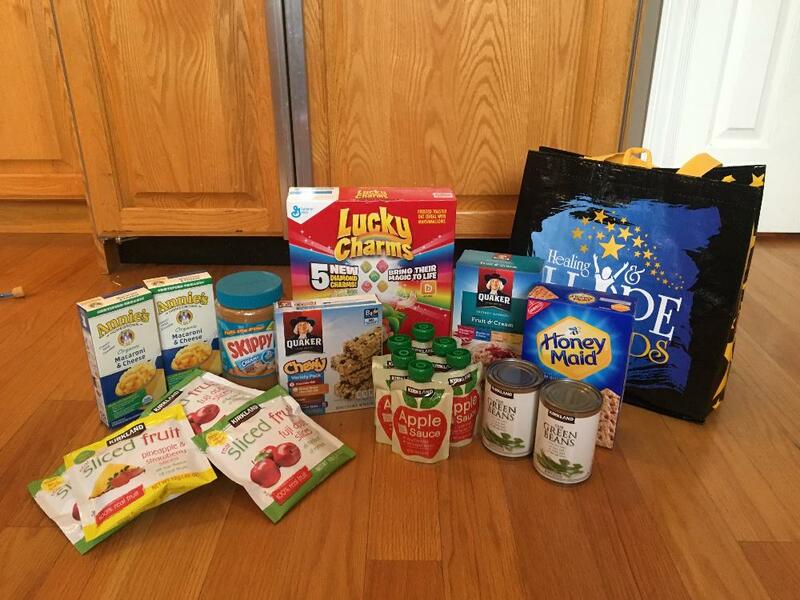 The group we were working with had certain things they needed in each bag like cereal, cans of vegetables, macaroni and cheese, granola bars, crackers… each bag had to have the same type of items in them. Communication became very important so we didn’t end up with all cans! I arrived at school at the end of the week and was pleasantly surprised by the amount of food we had collected! But then I was overwhelmed…how were we going to get all the bags together from the big mess I had before me? The classes had all sent their donations down and everything was mixed together. Because we had a list of things we needed for each bag, I organized the food into groups. This also helped us know if we were short on any items (like applesauce or dried fruit) and needed to purchase them with the money that was donated. Even though it was only 40 bags, the task was still overwhelming! I was so grateful that our principal suggested we put everything together at the faculty Christmas party. Many hands make light work and it did come together so much faster! We also involved some students (and my kids helped too) during and after school with moving it to vehicles and in different groups. Many organizations will not take donations if the food is expired. It makes sense, right? We did get some donations that had expired several years ago and a few that seriously looked ancient! Can you imagine feeling starved and receiving a bag of expired food? It would be more than disappointing, especially for a child. Anyway, be sure to check for the rules of the charity you are working with and take out any expired items before you begin assembling. Then, double check just to make sure nothing slipped by. I admit, this was something I didn’t do with everyone that helped. We had some families put together bags of food on their own and send them to us but the items were not what we asked for. The food was similar to what we needed but because it wasn’t exactly what we needed, we couldn’t use them. Thankfully, we could send the donation to the food bank with the extras! I also arrived a little late to the faculty party and found some of the bags had already been put together. But, many of the items were incorrect and some had expired. So I had to go back through and fix it all! If I had better communicated the needs, it wouldn’t have been a problem. In the future, I’m going to copy and print off a list of everything exactly as we need it so there isn’t any further confusion. 9. Double Check the Due Dates! This is important! Be sure you’re communicating closely with your charity so you know due dates and times. Because these bags were going to schools, they were very specific about the date they needed everything delivered. One of the schools changed their date on us too! They need to get the food to the children before school is out for the break so the due dates are very important. As you go through the process, be sure to snap some pictures and video of everyone helping! It’s rewarding for people to see their efforts, no matter how small, making a difference in the community. And you can share it in email and social media! When the children can see visually see the impact they have, it helps them better understand service and its importance. If you have any tips for organizing a food drive, please share them below! Food drives are needed all year long so never hesitate to put one together, no matter the weather or the time of year. Also, I encourage you to find ways that you can serve in your community, especially when time comes to feeding the hungry. I’m grateful to BonCom for partnering with me on this service project to help #FeedTheHungry. Please share what you’re doing with your family this Christmas using #LightTheWorld on social media and visit Mormon.org for more ideas. By doing so, you are helping to spread the light and love of Jesus Christ throughout the world!